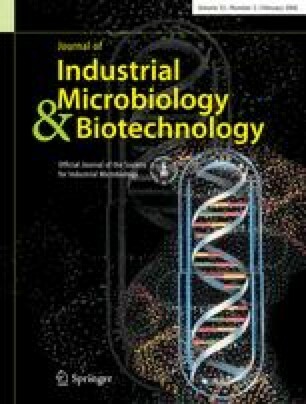 Daptomycin and the A21978C antibiotic complex are lipopeptides produced by Streptomyces roseosporus and also in recombinant Streptomyces lividans TK23 and TK64 strains, when a 128 kbp region of cloned S. roseosporus DNA containing the daptomycin gene cluster is inserted site-specifically in the ϕC31 attB site. A21978C fermentation yields were initially much lower in S. lividans than in S. roseosporus, and detection was complicated by the production of host metabolites. However A21978C production in S. lividans was improved by deletion of genes encoding the production of actinorhodin and by medium optimization to control the chemical form of the calcium dependent antibiotic (CDA). This latter compound has not previously been chemically characterized as a S. lividans product. Adding phosphate to a defined fermentation medium resulted in formation of only the phosphorylated forms of CDA, which were well separated from A21978C on chromatographic analysis. Adjusting the level of phosphate in the medium led to an improvement in A21978C yield from 20 to 55 mg/l.